Today Tigger lost his first tooth, aged 6 years, 9 months, and 11 days. he has been carefully guarding his precious milk teeth. Whilst having the anticipation that one day you would be making a middle of the night trip to visit him, rather the Roo. As Tigger returned to school this year he declared ‘look at my wobbly tooth’. With a glint of happiness that he was joining the other children in his class that had already lost their first tooth. Along with a little tremble in his voice at the thought that losing a tooth might be painful. Nevertheless, over the days that followed he’d sit and wobble it but it remained in place. Thinking that this was going to be a long process I must confess to forgetting about his wobbly tooth. That was until we were out having dinner with Daddy after school today. 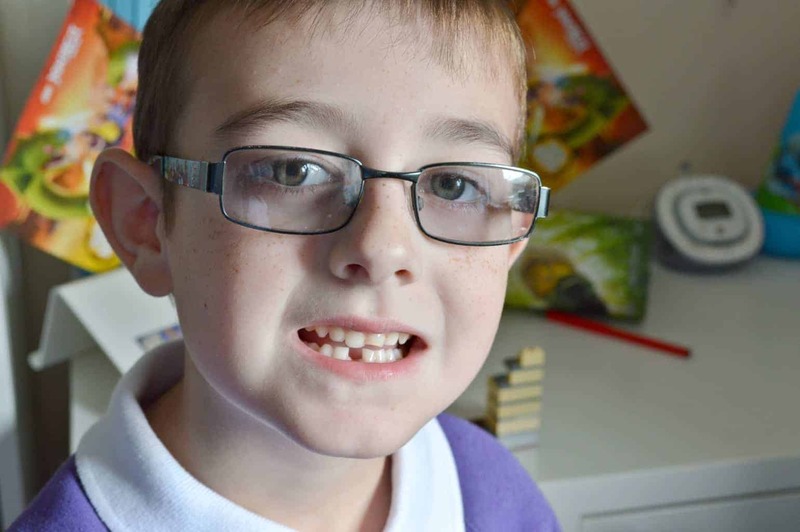 Whilst happily tucking into his chicken nuggets and chips – Roo asked him if his tooth had come out at school today. ‘No’ he replied with a gap where his wobbly tooth once sat. Suddenly we all spotted that the wobbly tooth had indeed fallen out. However, instead of the painful encounter that Tigger had been imagining, he hadn’t felt a thing. So much so that he swallowed it. Yep, that’s right his first baby tooth to come out and he swallows it. Typical. Cue a discussion about whether the tooth fairy still visits when there is no tooth to collect. Daddy suggested that you probably wouldn’t be able to visit. Instead, he would give him a treat from the treat box for losing his first tooth. As we got home, Daddy remained true to his word and handed over a new Skylanders Supercharger in absence of his baby tooth. So, Toothfairy, I’m writing to apologise for Tigger swallowing his first tooth. The ironic thing is that he’s the fussy eater of the family and it’s usually so difficult to get him to eat anything new.